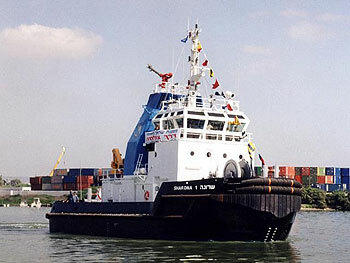 Due to customer demand for better tugboat performance, Israel Shipyards launched a new line of tugs. The V.S. Propelled Tugs have a unique propulsion system that allows 360-degree thrust and a complete turn within one boat-length. They are designed for easy operation, needing only a three-man crew. The special designs also include 30-to-55-ton Bollard Pull "Voith-Schneider" / "Z Drive" Tractor Tugs.